9873A15 C# 9873A13 Force 1996-1999 Stator Assembly 120 HP 1 YEAR WTY! Additional Info We have bench tested this item and it does meet the required specifications. As with any used part, this item does display the normal, minor signs of previous use, but nothing that would affect the overall performance. 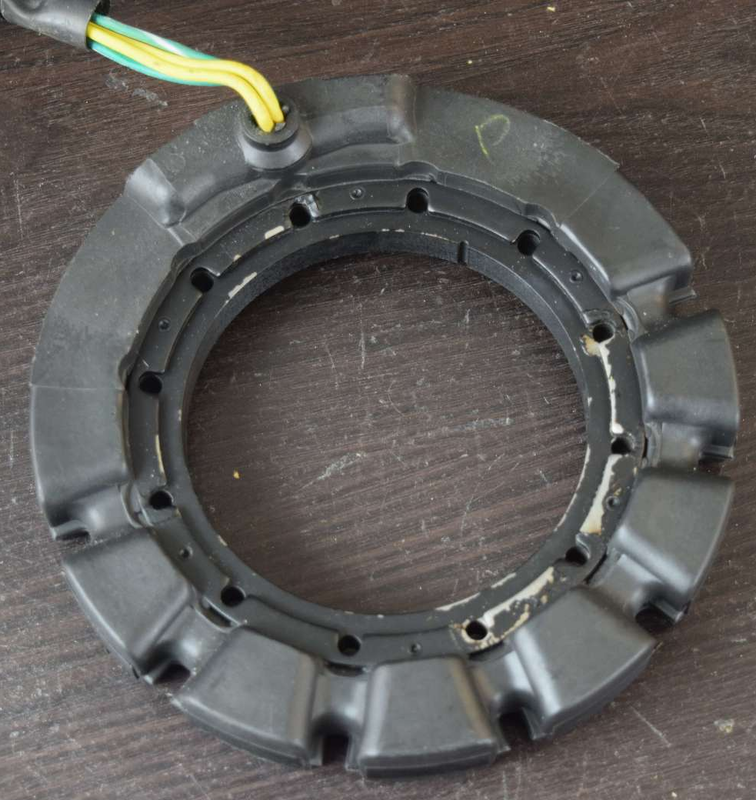 There are 4 wires coming off of this stator; 2 yellow, 1 green, and 1 green with a white tracer. 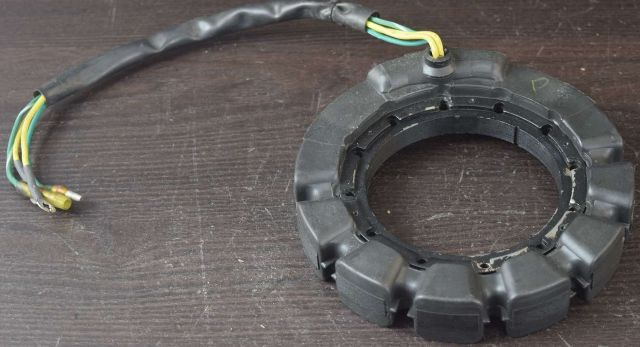 The two yellow wires have ring terminals on the ends, and the other two have bullet connectors. All the wires are completely intact and are not cut, burnt, or broken. Please note that this is an original OEM stator, not an aftermarket brand. This will make a great replacement part for your outboard! 1 year fault-free warranty-if it stops working correctly, we’ll replace it! If you have any questions or concerns, give us a call at 618-487-9499. Fits: This looks to replace Force 120 HP stators from 1996-1999. 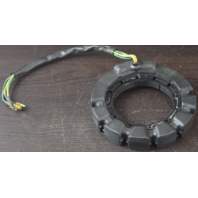 This is the original black stator. 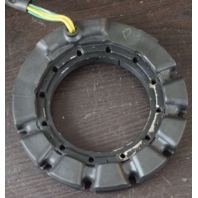 If your engine has been changed over to the red stator, you will either need to change back to original or order a replacement red stator but if your engine is still original, then this was the stator. As a general rule, we do not cross-reference the part numbers for our electronic items. 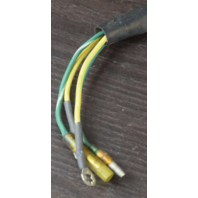 By doing so, the cross-referenced part number may have different wire colors or count. This may fit more motors than we have listed. If you need help identifying if this is the correct plate for your motor, do not hesitate to contact us prior to purchasing and we would be happy to help!